THIS EXACT ITEM IS SOLD, BUT YOU CAN MAKE A PURCHASE THROUGH THIS LISTING. 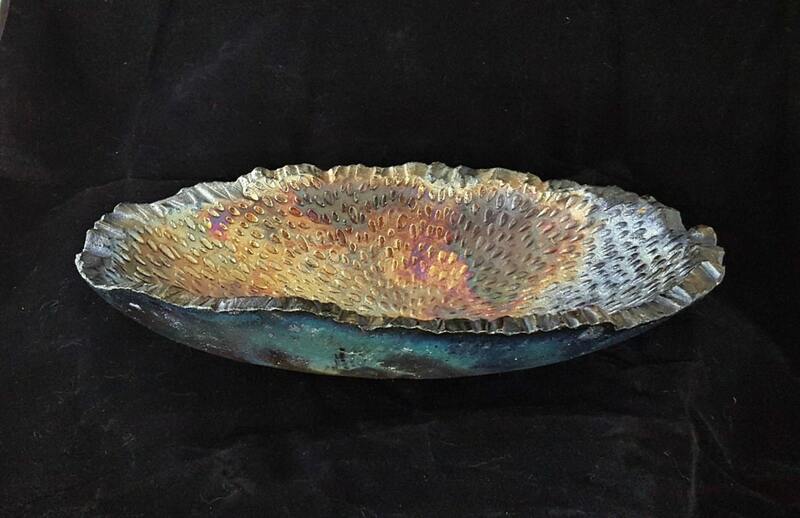 YOU WILL RECEIVE A SIMILAR ITEM ...ALL RAKU IS ONE-OF-A-KIND! This elegant, organic bowl shape is beautiful to enjoy on a table, or to display a small grouping of fruit. It's organic nature is emphasized by the it's interior texture. Add a touch of elegance to your living or office space!